Yahoo! Inc. was founded in 1994 by Jerry Yang and David Filo and became incorporated on March 1, 1995. is best known for its web portal along with its search engine, directory, mail, news, groups, answers, maps, video sharing, social media, and adverting and is currently one of the premier digital media companies in the world. 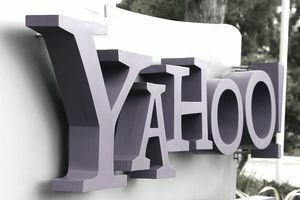 Yahoo is considered to be one of the largest websites in the US and connects millions of people across the world through digital media. Yahoo provides a variety of internships for students interested in learning about careers in digital media. Yahoo offers opportunities for students to gain hands-on experience while also learning the knowledge and skills it takes to be successful in the industry. Each internship is designed for students to experience what it would be like working on a day-to-day basis at Yahoo. Completing a successful internship with Yahoo could turn into a full-time job or at the very least provide the skills, experience, and contacts required to land a job at another company. Each year Yahoo’s University Recruiting team develops a team building experience, “Intern Go Games,” to orient new students to the company. During this orientation, all of the new interns get an opportunity to meet interns from various departments as well as Yahoo employees who will also provide and help to train students over the course of their internship. Interning at Yahoo gives students through hands-on training with knowledgeable professionals in the field. After completion of an internship with Yahoo, there is a good chance that students might be accepted into a full-time job especially if they've shown initiative and motivation and completed excellent work over the course of their internship. Yahoo is located in Sunnyvale, California. The Financial Analyst internship at Yahoo runs for approximately 12 weeks during the summer. Possess excellent analytical skills and a strong ability to focus on results, articulate complex ideas, and creative problem-solving abilities. Have strong interpersonal and communication skills, effective teamwork, attention to detail, and the ability to quickly assess problems and find workable solutions. Possess a passion for technology or media with strong academic performance and professional drive. Demonstrate clearly the ability to manage multiple projects in an environment that is fast-paced and highly dynamic. Yahoo Seeks candidates with a minimum GPA of 3.5 who are currently pursuing a Bachelor’s degree in Business, Finance, Economics, or Accounting. Interviewing for an internship with Yahoo is a very comprehensive process. Candidates will usually be asked to participate in one or more , a , and provide samples of their work. The hiring supervisor will carefully look at each candidate’s while checking their or other social media networks. It's important that the company find the right fit for each of its internships since they each require a different set of skills to complete. Yahoo treats its interns as real employees and values the contributions they make to the team. Yahoo hosts many networking receptions that interns can attend that provides a chance to meet with professionals from Yahoo and other companies. Yahoo provides free espresso to all interns and employees. Yahoo is great at mixing work and fun on the job. Yahoo provides many fun events for interns and employees, such as treasure hunts, a foosball tournament, softball games, etc. Yahoo makes interns feel like they are a valuable member of the team while also providing mentors that can assist with learning new skills and the completion of team projects.